The storm created by the electric powertrains didn’t surround only the passengers cars, as commercial vehicles were also involved. One of the most popular commercial vehicles converted to run on electricity was Ford’s Transit Connect. The electric version of the model was created in collaboration with Azure Dynamics. Unfortunately, the production was stopped in March 2012, due to Azure’s financial difficulties. 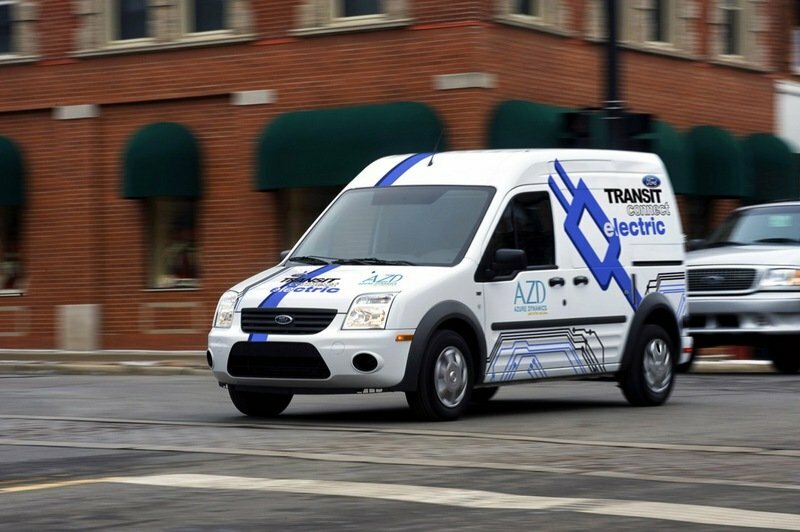 The Transit Connect Electric is equipped with a 55 kilowatt electric drivetrain system which uses a 600 pound 28 kilowatt-hour lithium ion battery. The battery pack offers a pretty limited range of 56 miles. Apart from the electric drive train, the Ford Transit Connect Electric didn’t receive any other significant modifications and continue to be as practical as it’s conventional powered cousin. 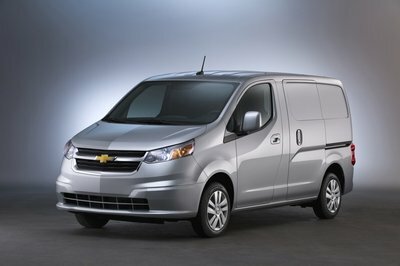 Even if for the moment the Connect Electric went out of production, we can dare to hope for future Electric versions of the van, because Ford’s engineers are currently spending a lot of time in trying to crack the nut of electric powertrains. Hit the jump for more information on the Ford Transit Connect Electric. The exterior design remained identical with the one of the standard model. Hence the Transit Connect Electric shares the same conventional appearance with its sibling. The front end design is pretty simple without any fancy lines to break up the monotony. 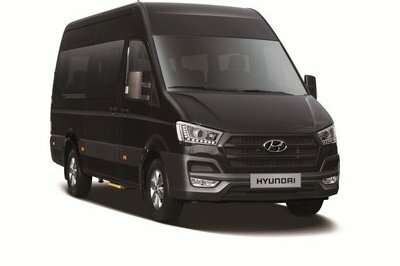 Here we find the company’s badge mounted in the center of the front grille which is flanked by a set of robust headlights borrowed from the bigger Transit LCV. The front end design continues with a pretty robust bumper which is fitted with a modern looking hexagonal air intake, giving the vehicle a bold appearance. Along the sides, the Transit Connect Electric received a set of rubber molding, while the flared wheel arches are covered in protective flares. 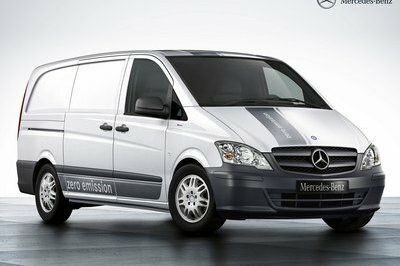 Fortunately, the electric components didn’t affect the load area and the Ford Transit Electric offers a generous load capacity of 625 kg with a volume 2.8 cubic meters. The load area offers six load lashing points in the floor all with removable bolts which can be placed in any of the 10 different holes found around the sides of the van. For extra security, the roof is also fitted with six strong hooks. To offer easy access into the load area, the Ford Transit Connect Electric features lateral sliding doors and a convenient foot step integrated into the rear bumper. Thanks to the low ground clearance, you can step inside without too much fuss. Once inside, you’ll find the same clean cockpit as the one from the standard model. The only change found inside is the new instrument cluster, which now hosts various details which inform you about the level of energy stored in the batteries and how efficient is your driving mode. 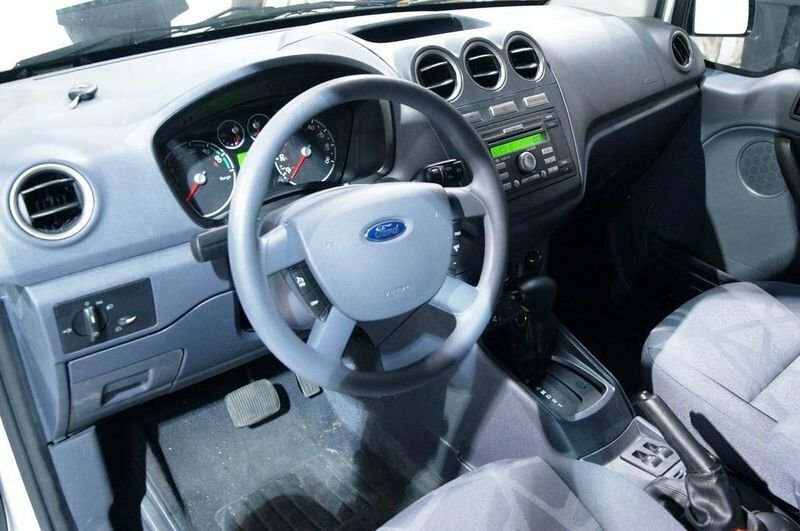 Unlike other modern LCVs, the Transit Connect’s cab continues to look cavernous. At least the interior design is pretty practical and the materials seem durable. Build quality is also solid, so you won’t need to worry about breaking something during arduous jobs. 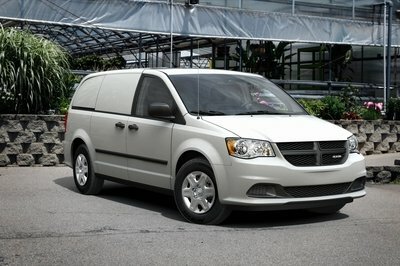 Though, the cabin could’ve come with more storage places, especially because we’re talking about a commercial vehicle. All you get is a set of three cup holders, a glove box and two narrow door pockets which are too small to be called practical. The seats are reasonable, but they could’ve come with a better under thigh support. Sitting in the driver’s seat, you’ll happily notice that everything is placed within easy reach and most of the controls are located intuitively. We also like the all-around visibility assured by the big windscreen and the generous lateral windows. 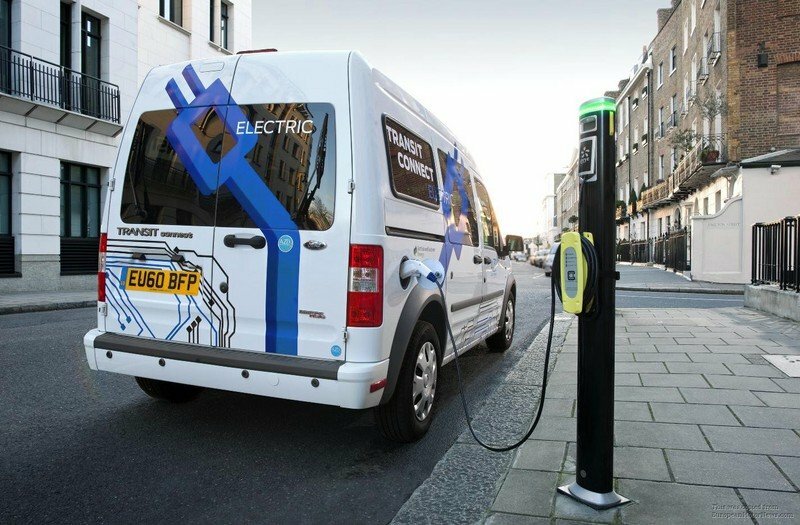 The Ford Transit Connect Electric uses a Siemens electric motor which develops a maximum output of 78 hp and 117 lb-ft of torque. The motor’s power is delivered to the front axle by means of a single speed Borg Warner transmission with an 8.5:1 drive ratio. 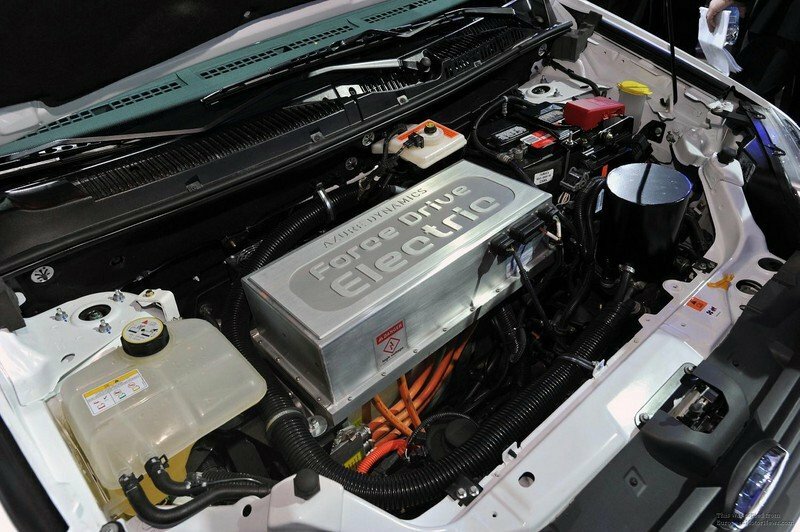 To keep the engine alive, Azure used a 28 kwh battery pack, fitted under the load floor. As the battery’s weight is nearly 1000 pounds, the rear suspensions received a special treatment to withstand the extra load. The battery pack needs 8 hours to be charged on a 240 volt Level II charger or 27 hours with a 120 volts socket. With its batteries fully charged, the vehicle range is estimated at around 80 miles. 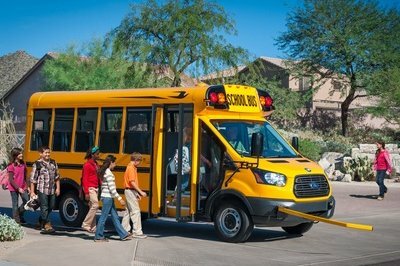 As most of today’s EV the Transit Connect is also equipped with regenerative breaks which transform the kinetic energy used for breaking into useable electric power. Leaving the technical details aside, on road, the Ford Transit Connect Electric feels more agile than its fuel powered sibling. For the improved performances we’ll have to give credit to the instant torque, which helps the electric motor to accelerate from 0 to 100 kmph mark in 12.0 seconds, which is 0,3 seconds faster than its fuel powered cousin. Another advantage offered by the electric drive train is the improved handling. As the battery back is placed low, the body-roll was significantly improved and the entire vehicle feels better balanced. Furthermore, the standard steering was replaced with an electric one, which feels light, but at the same time it gives you a decent road feedback. The Ford Transit Connect Electric is a no-nonsense EV designed with practicality in mind. The vehicle has a lot to be loved for as it’s well build, spacious and it also comes with a durable interior. Nt to mention about the lively performances offered by the electric motor. Though, the range is pretty limited and the 27 hours charging time from a standard socket is way too long to be considered decent. Price it’s also an issue, as the Ford Transit Connect Electric starts at $57,400, about $35,000 more than the base price of the standard model.